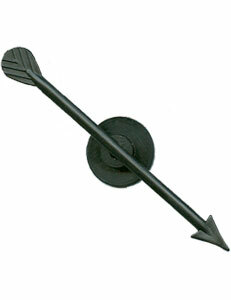 These Game Board Arrows have a fishtail (4"), square tail (2.75"), or round tail (3") design. The arrows come in a two-piece snap style to secure them to game boards. 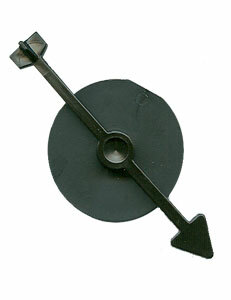 Each particular Spinner Arrow is available with the size base shown below. Black and white color arrows are currently available.